Dr. Kate Johnston, L.Ac., PhD. Dr. Kate Johnston is one of the true pioneers of acupuncture and oriental medicine in the United States. 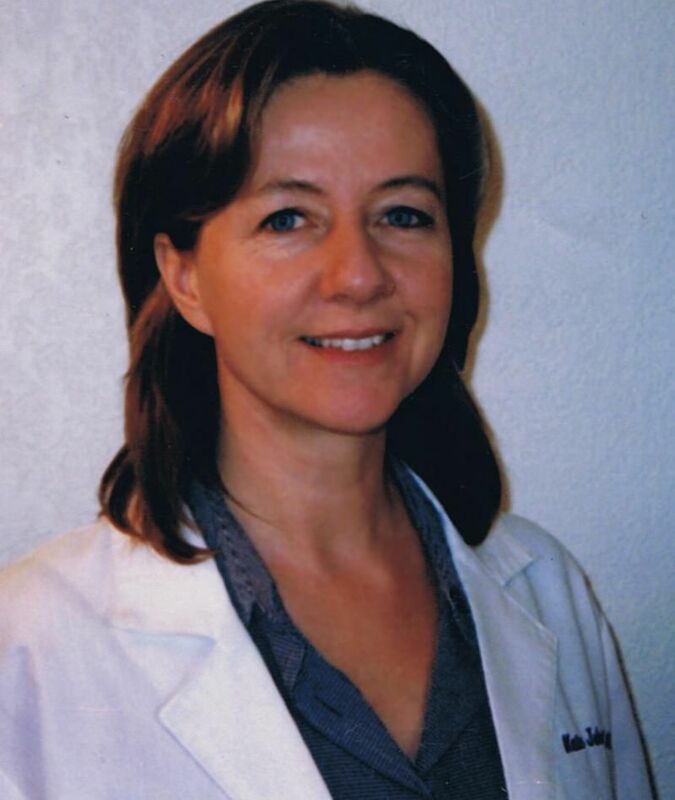 She began her studies in South Korea in 1981, then attended the first university of oriental medicine in the United States - SAMRA University of Acupuncture and Oriental Medicine in Los Angeles. After graduating with her PhD., she spent six months in China, studying with the masters and treating patients in hospitals and clinics there. She has been in private practice for over 30 years, helping thousands of patients to regain their health by bridging the gap between this ancient wisdom and our modern world. ​"I look forward to helping you on your journey to radiant health and well-being!" I am often asked how I got into such an unusual profession. I'd like to share my story with you now, so that you might better understand my desire to help you on your path to wellness. In my early 20s, my Mother was diagnosed with cancer. I watched helplessly as she suffered through first the effects on her body from radiation therapy, then rapidly succumbed to the cancer. She spent the end of her days heavily drugged on morphine, not even knowing her family was there. Shortly after her death, while serving in in the U.S. Military Intelligence in South Korea, I learned about the use of acupuncture around the world, even for cancer patients. Acupuncture was being used to strengthen the patient's own defenses to fight the disease and also to allow the patient to better tolerate radiation and chemotherapy treatment, leading to increased success. Acupuncture was even used to treat the pain of cancer, allowing patients to need less pain medication and thereby enjoy more quality time with their loved ones. Well, that is when the light bulb lit up over my head! I felt such a drive to learn this wonderful medicine, and bring it to the millions of Americans who like my Mother, fight cancer with little or no supportive medicine. Once I found an acupuncture school, I learned a completely different approach to health and wellness. Where that vague feeling that something isn't right in your body, is a clear message about what it needs - not something to ignore until we have a "disease" that we can see on a lab test. Most importantly, I learned how to understand exactly what the body is telling us and how to treat it. This has been a truly amazing path of being able to help others. It is my sincere hope that you and your loved ones will give this highly effective medicine a try.